HyTech CNC’s all of our flanges for exact fitment and shape of the exhaust port. This is a big area that can produce a large amount of turbulence. If the size and shape of the exhaust port is not the same and the first part of the head pipe. 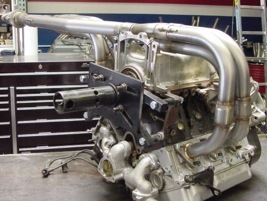 The exhaust gas flow will be compromised and reduce the potential power of the engine. 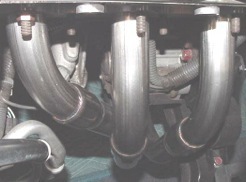 All exhaust system are constructed out of Rath/Gibson Stainless steel. This is the highest quality of material that is milled in the US. We also tig weld and purge all welds for maximum strength. This creates smooth flow transitions at all internal joints.